Stock status is current as of 4/25/2019 8:13 PMET. Accelerate your PC with Intel 760P Series Solid State Drive, a reliable storage and ready for your high-performance computing needs. It has a 512GB capacity, it means you have loads of space for all the applications and files that you need and increase your device performance with its incredible read/write speeds. The Intel 760P Series Solid State Drive has an M.2 2280 form factor, so you can easily mount it on your computer. 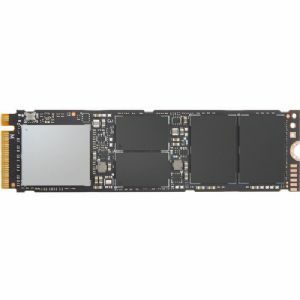 This incredible SSD uses end-to-end data protection that ensures the integrity of stored data from the computer to the SSD and back. Moreover, it also offers powerful features such as Intel smart response technology and Intel rapid start technology. Buy Intel 760P Series Solid State Drive now!